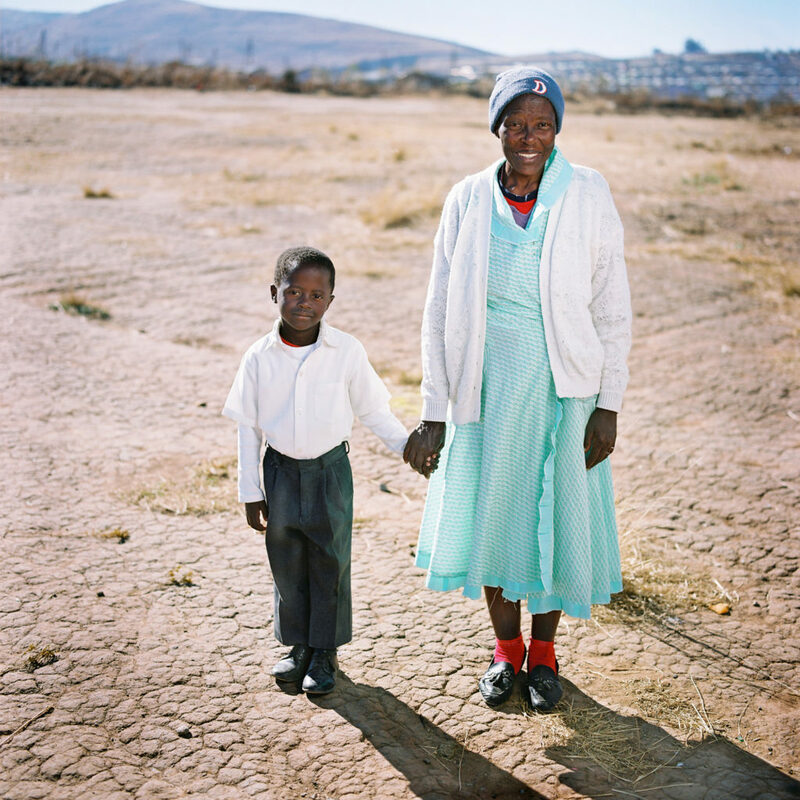 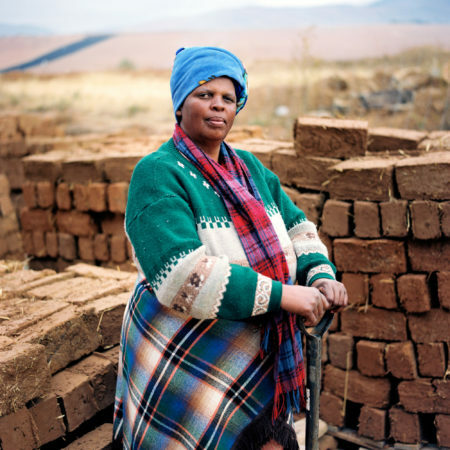 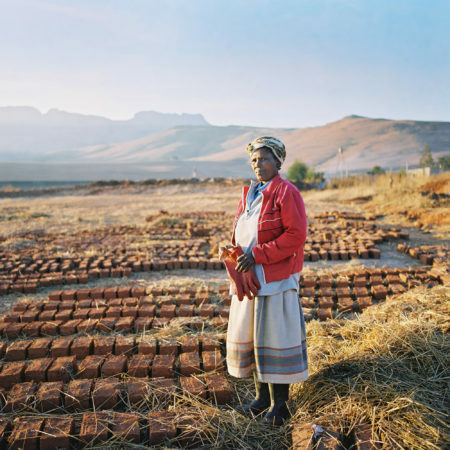 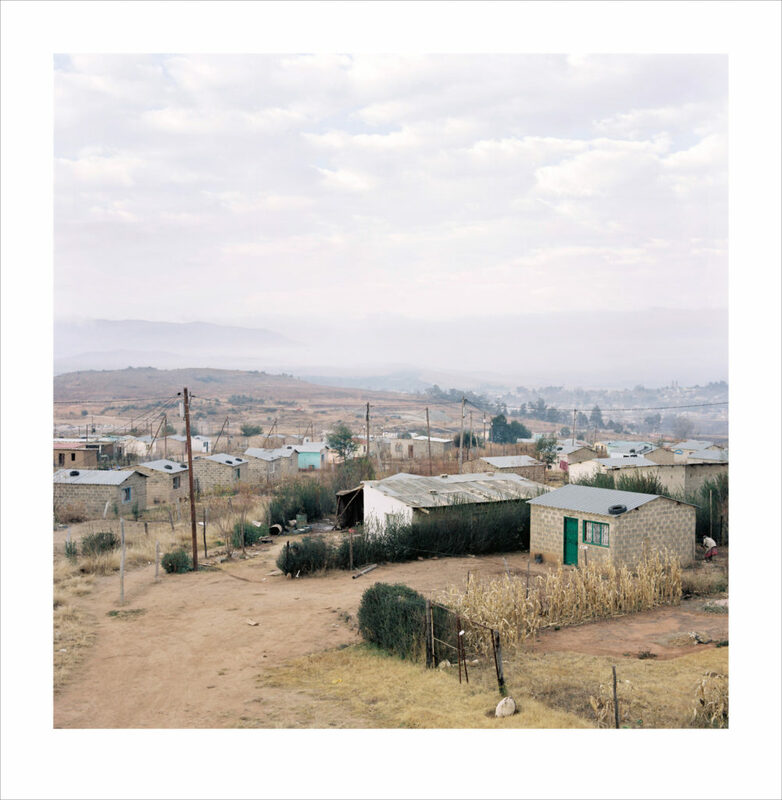 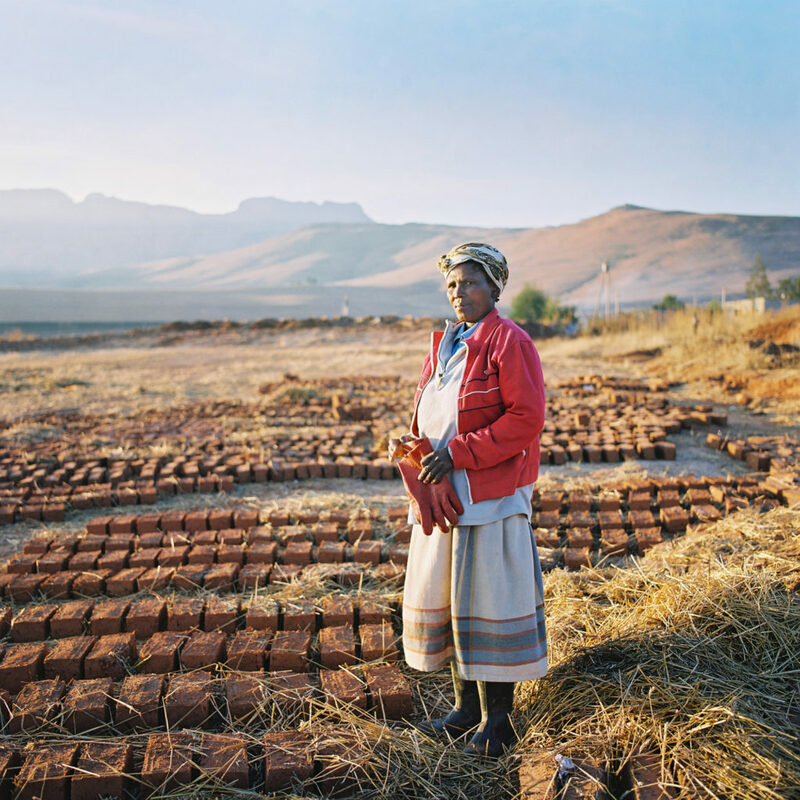 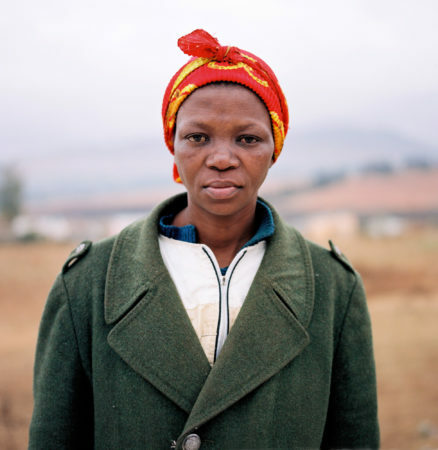 Angela Buckland was commissioned in 2004 by Oprah’s Angel Network to document the building process of Seven Fountains Primary School in Shayamoya Township, Kokstad, Northern Cape, South Africa. Seven Fountains Primary School, was opened in 2007. 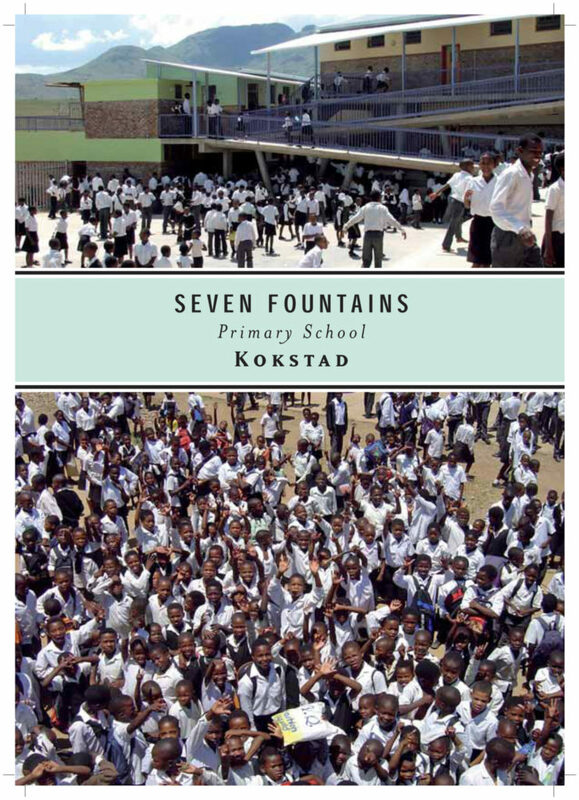 The school had its genesis in 1936 on the Seven Fountains farm a few kilometres north of Kokstad. However, in 2002 with no financial support from the authorities, the farmer expelled the school, partially demolishing the buildings in the process. 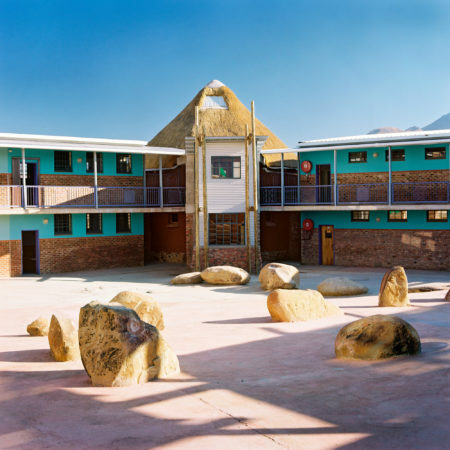 The school moved to an abandoned hostel in the township and enrolment increased to 900 learners. 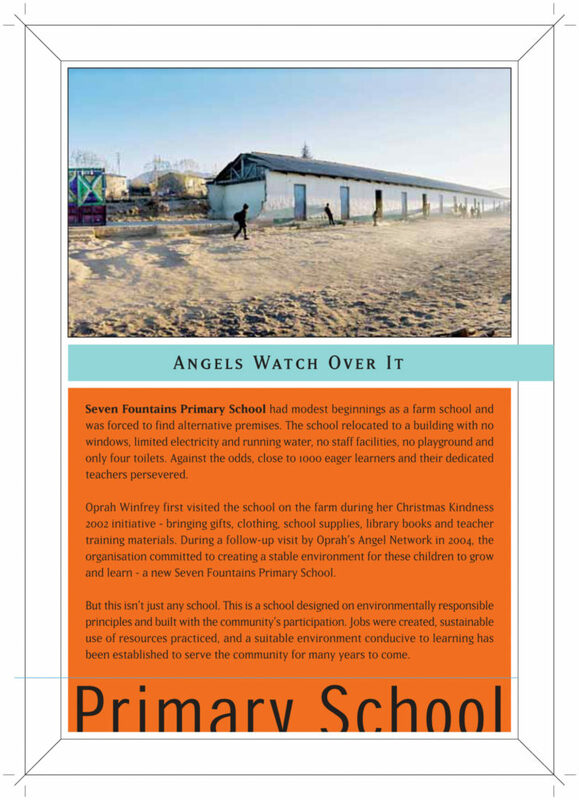 Their plight came to the attention of Oprah’s Angel Network, who agreed to fund the building of a new school and East Coast Architects were appointed in 2004. 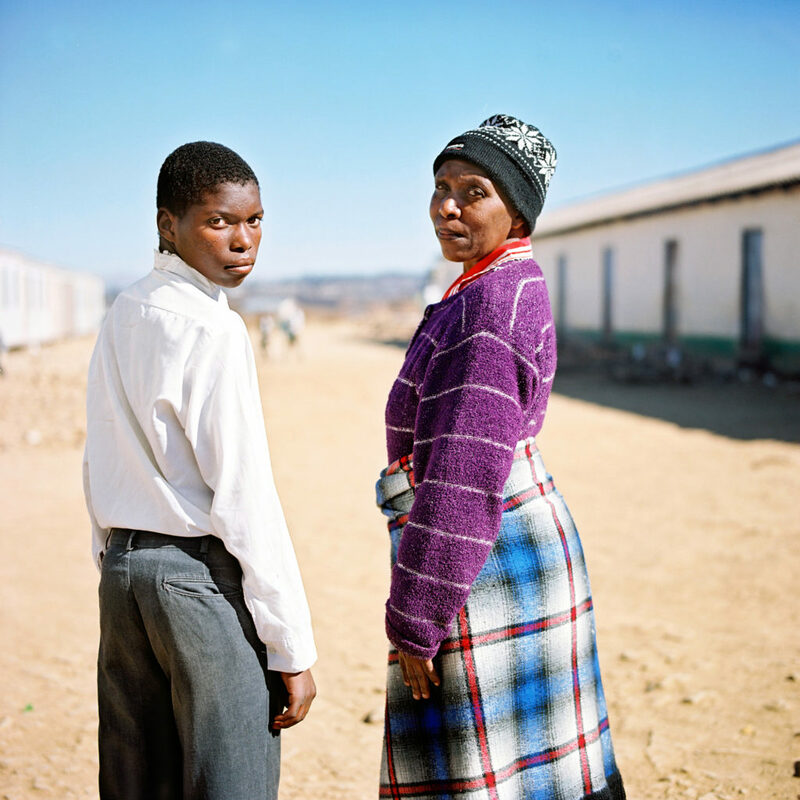 Shayamoya Township is home to a largely impoverished and unemployed community. 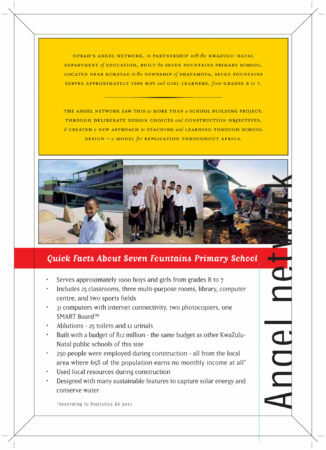 Seven Fountains Primary School was designed so that several of the school facilities are accessible to the general community after-hours. 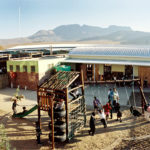 These include sports fields, computer room, library, adult education rooms (ABET) and potable water resources. In this way, the school ‘belongs’ to the whole community. Buckland began the project by photographing the temporary school in a disused men’s hostel and then captured the ensuing building operations. 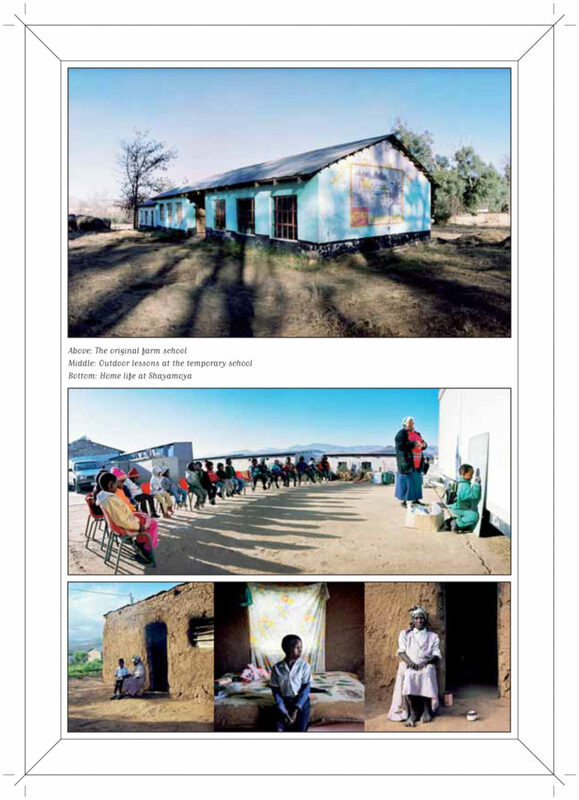 Architectural imagery gave way to the rich social landscape in Shayamoya. 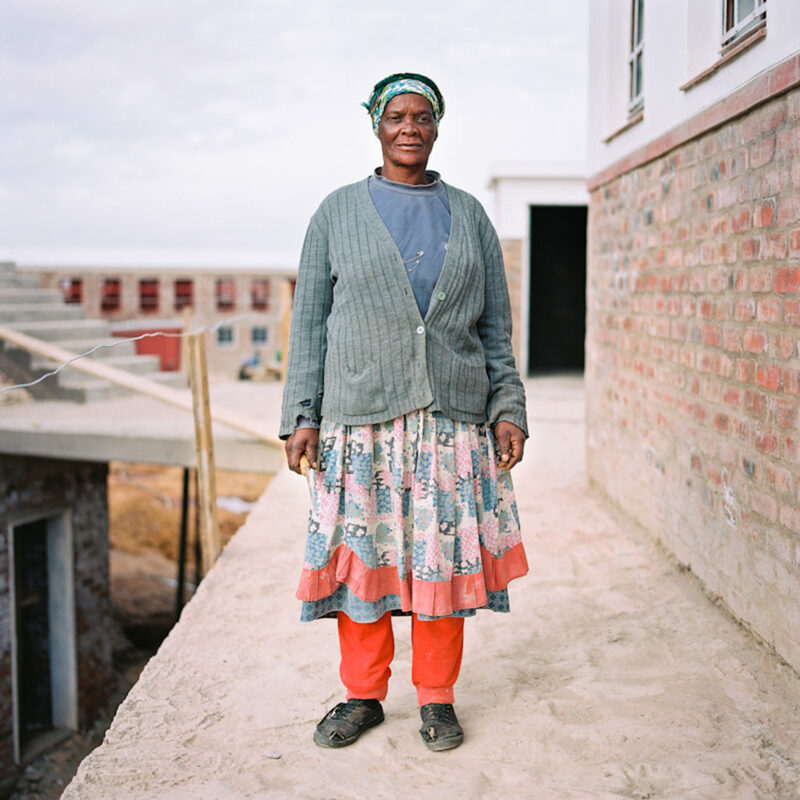 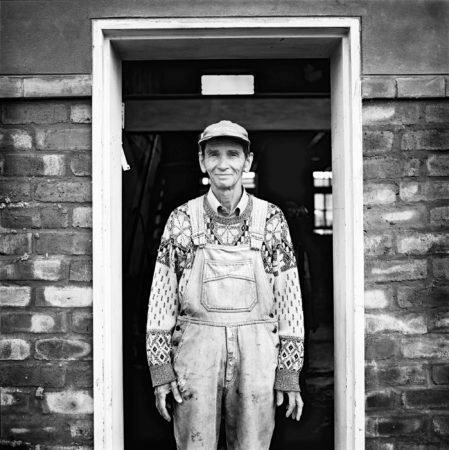 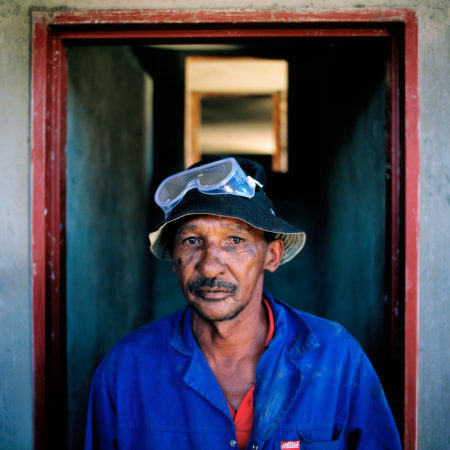 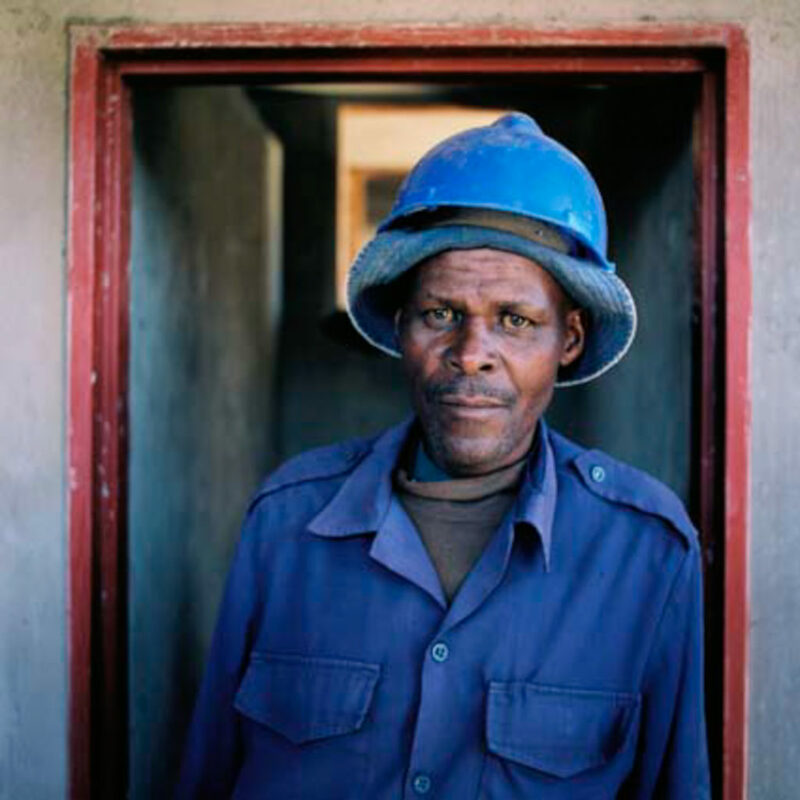 Construction worker portraits were followed by documentation of the community in its colourful entirety. 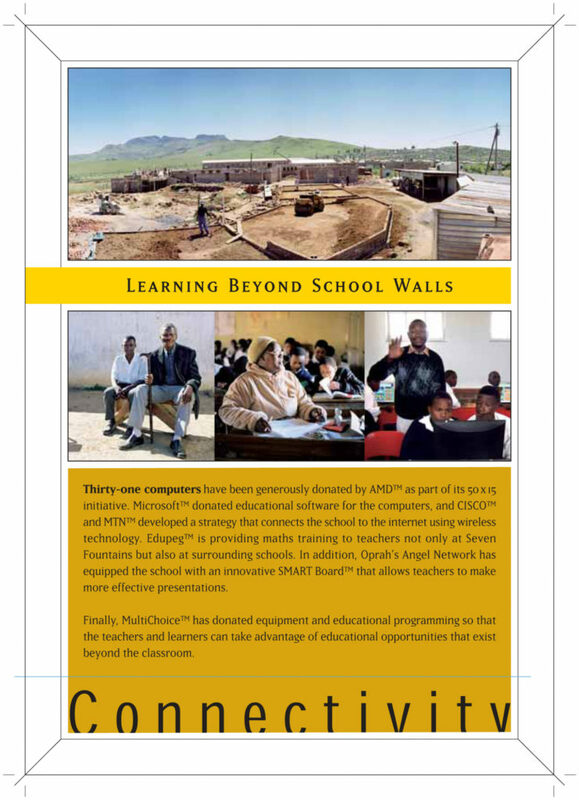 This sustained engagement led to further projects. 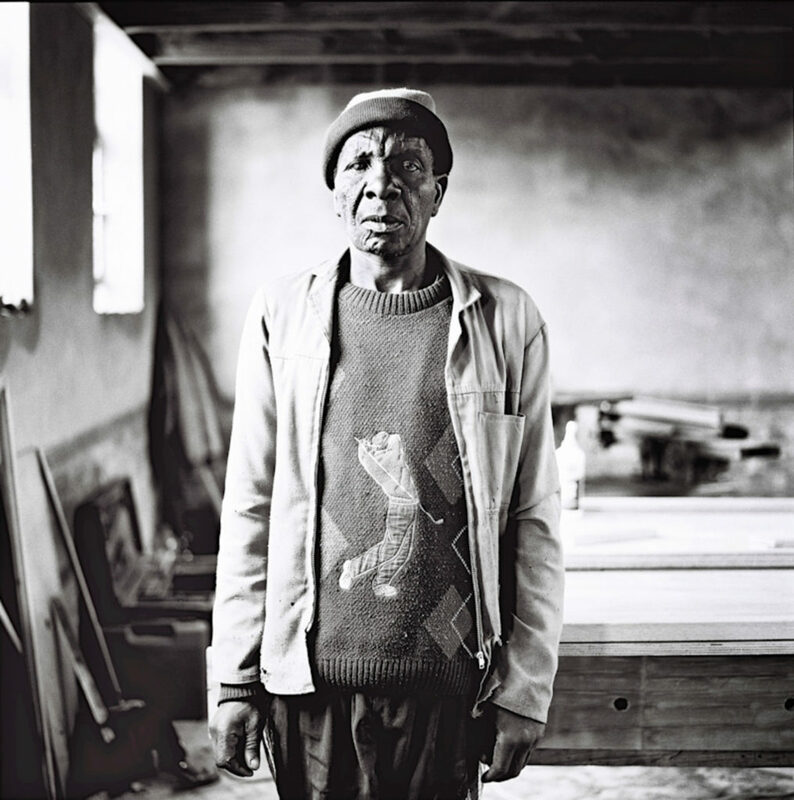 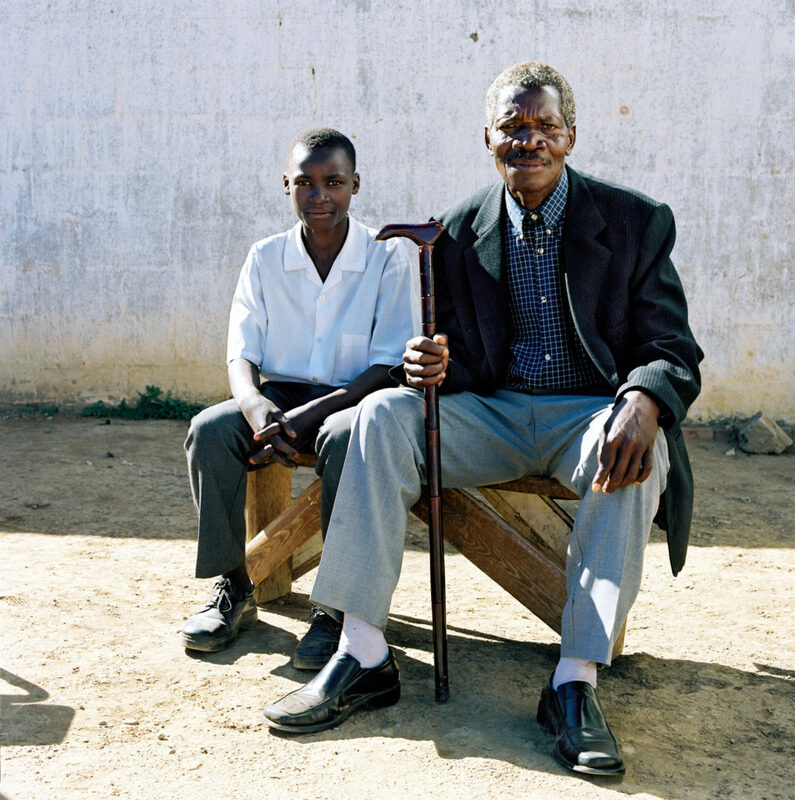 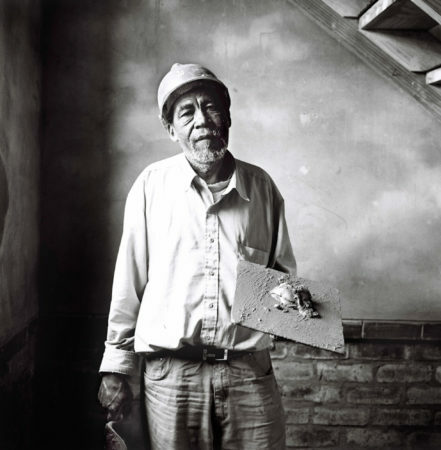 Selected images, mostly the construction worker portraits, were exhibited alongside South Africa’s most celebrated contemporary building, the New Constitutional Court in an exhibition titled ‘BUILDING, at David Krut Projects Gallery, Johannesburg in 2007. In turn, the photographic series ‘GRAND’MOTHERS of Shayamoya was commissioned. 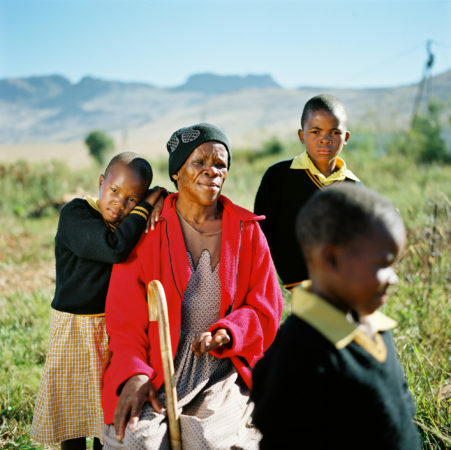 This honoured and acknowledged the role of grandmothers and the complexities of the ongoing HIV/AIDS epidemic and its effect on families and communities.